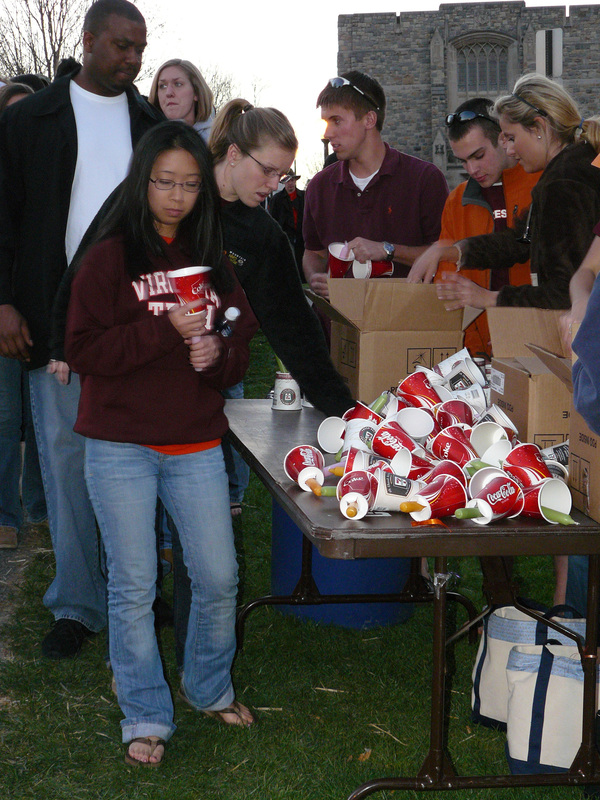 Candles are distributed prior to the start of a candlelight vigil on the evening of April 16, 2008, A Day of Remembrance. Norris Hall is visible in the background. Brent Jesiek, “Preparing for the Remembrance Vigil,” The April 16 Archive, accessed April 26, 2019, http://www.april16archive.org/items/show/2424.